I had better get this posted before I get even farther behind! 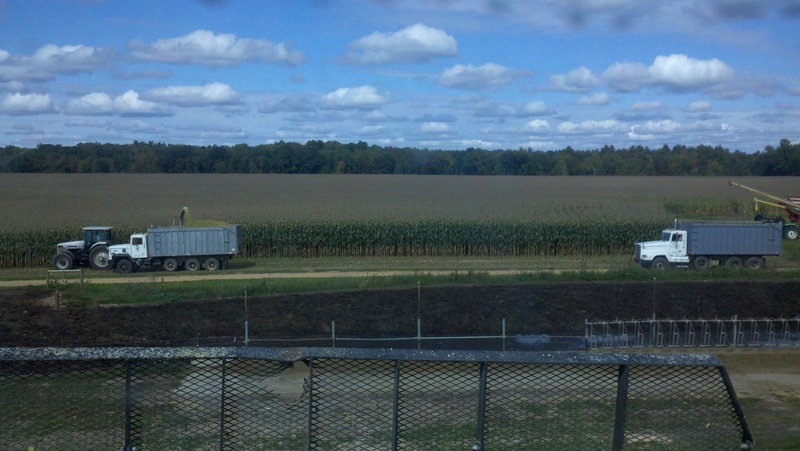 The combine was rolling all ready so I had better post about chopping corn! We line the bunker walls with plastic. 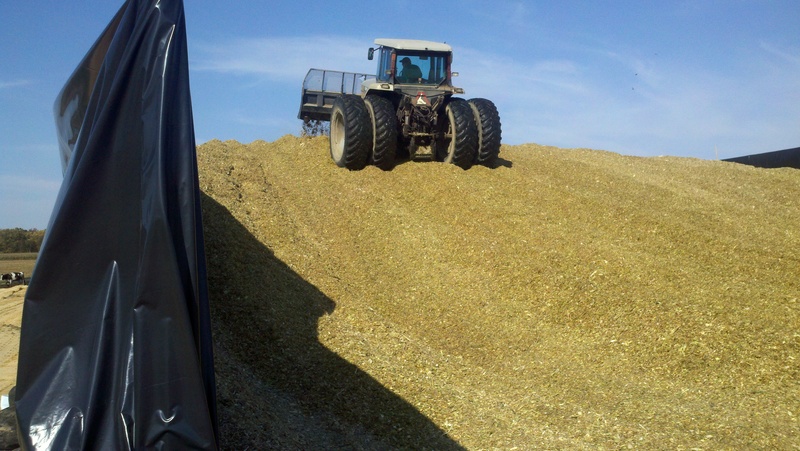 In this picture my dad is piling some corn silage along the bottom to hold the plastic in place. 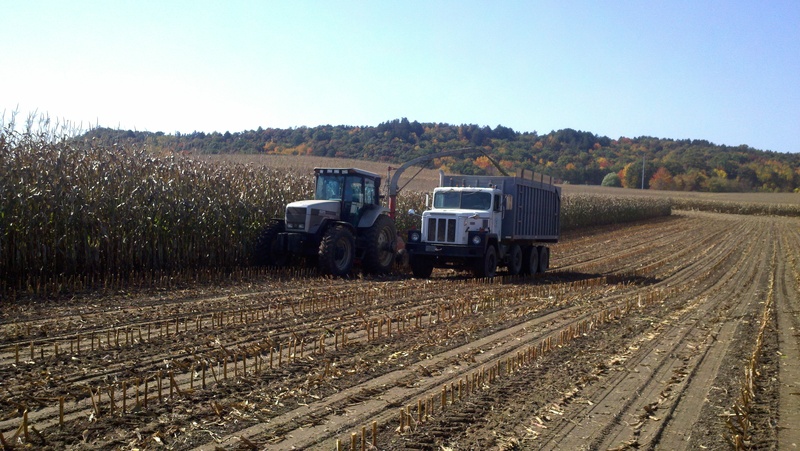 Most of our corn silage was close this year, so we just chopped directly into the trucks. You can see the first truck is almost full, and the 2nd truck is waiting to pull into position. 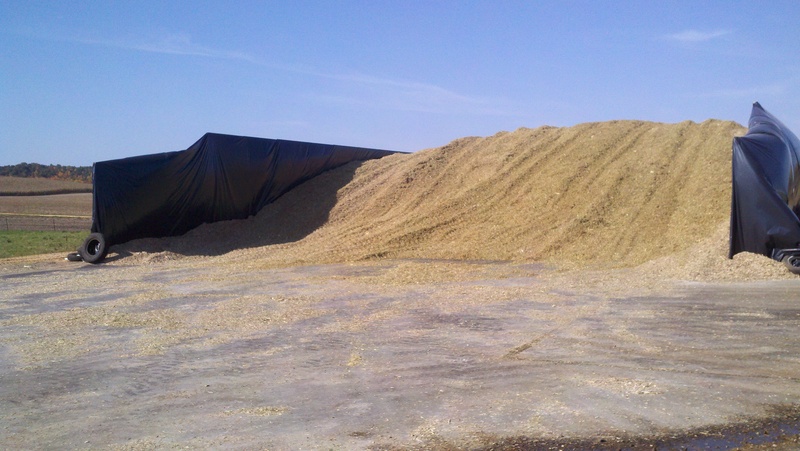 The trucks haul the silage to the bunker, where we push it into a pile and pack it down, just like haylage! 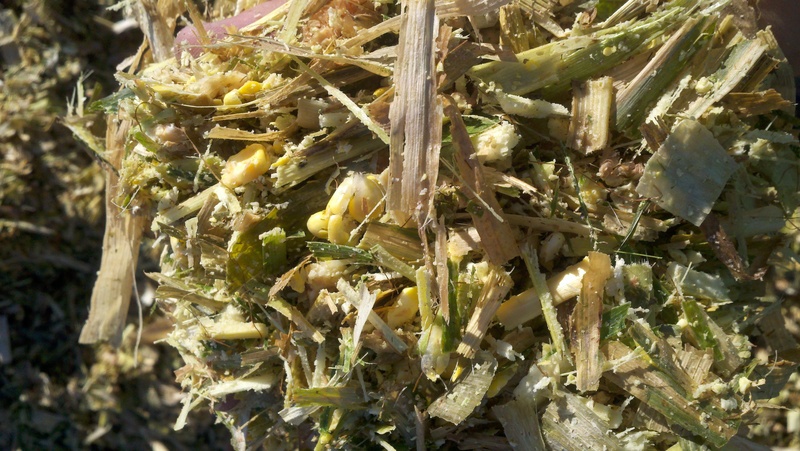 Particularly when we are doing corn silage, I REALLY wish we had a self-propelled chopper. 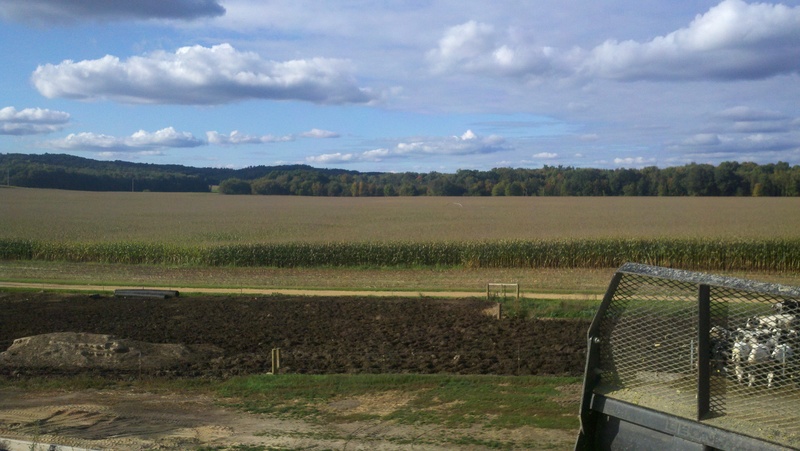 With our pull type, we can only chop 3 rows at a time, and it is pretty slow going. Hopefully soon we will have the self-propelled! 🙂 Even with our chopper, we were still averaging 11-12 minutes per load, so that isn’t to bad. 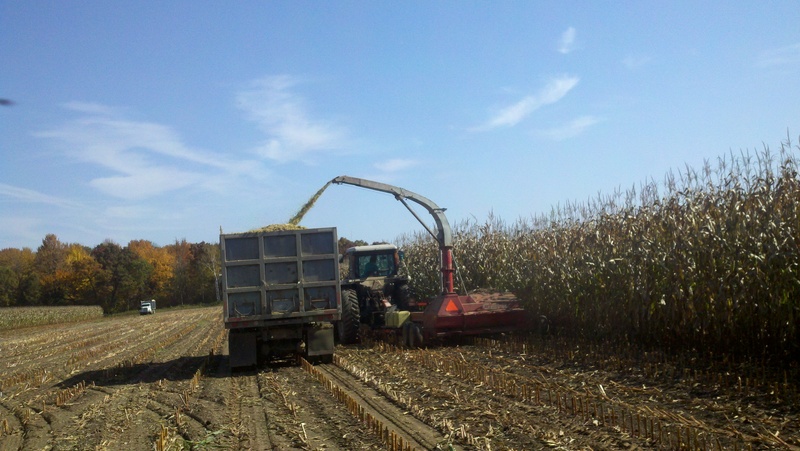 With corn silage, we go for a long length of cut (we actually remove every other knife on the chopper, so that it cuts the product longer) then we put a roller mill (called a kernel processor) behind the knives of the chopper when we are doing corn silage. 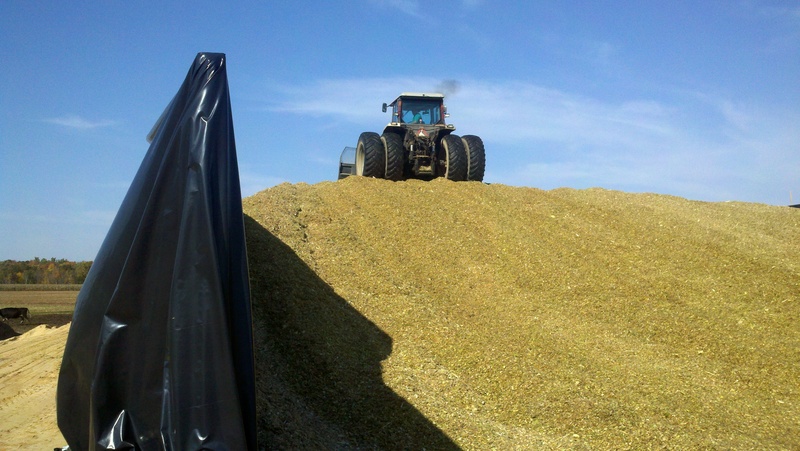 With this we are hopping to fracture every kernel of corn. 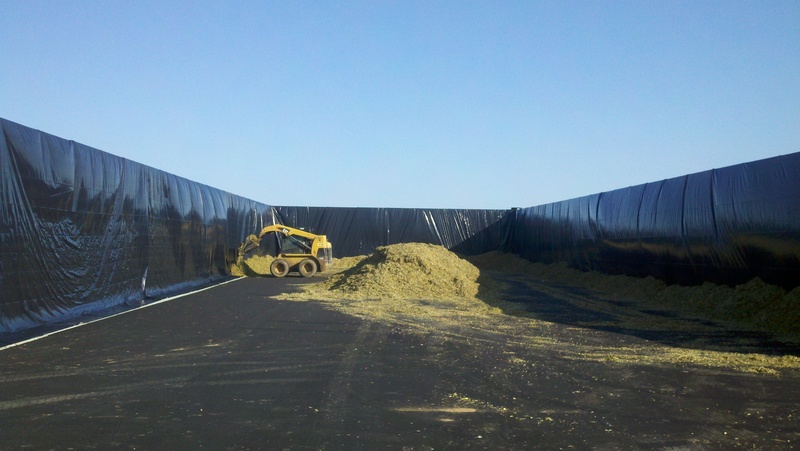 This makes it easier for the cow to digest. I am working on uploading some videos I took of chopping, so look for those soon! 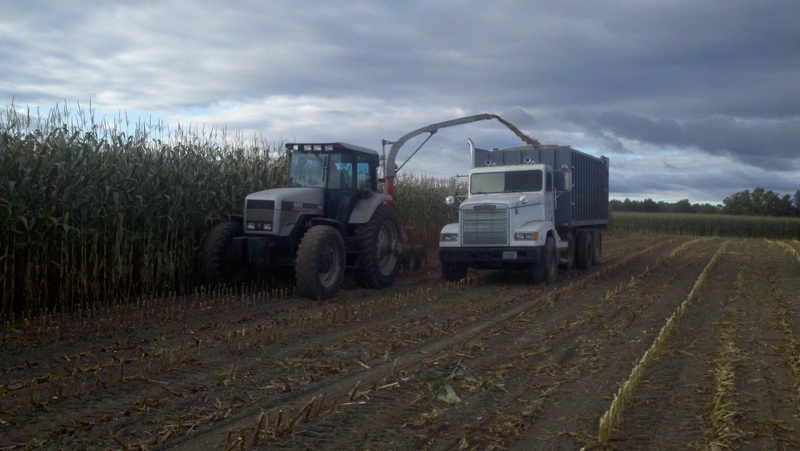 This entry was posted in Agronomy, Machinery and tagged agriculture, agronomy, corn, farming, food production, harvestModern Agricuture, Modern Agricuture. Bookmark the permalink.